She got her first Golden Globe nomination from the movie "Easy A." Now, Emma Stone is getting Oscar buzz for her performance in "The Help." Emma Stone is one of Hollywood’s most sought-after young actresses nowadays, having garnered both critical and audience acclaim for her starring role as Olive in Will Gluck’s critically acclaimed teen comedy “Easy A.” Her performance also earned her a Golden Globe Award nomination for Best Performance by an Actress in a Motion Picture – Musical or Comedy, as well as an MTV Movie Award for Best Comedic Performance and a nomination for the BAFTA Rising Star Award. She was also seen in director Gluck’s “Friends with Benefits,” alongside Justin Timberlake and Mila Kunis, followed by “Crazy, Stupid, Love” opposite Ryan Gosling. She will also appear as Gwen Stacy in director Marc Webb’s highly anticipated “The Amazing Spider-Man,” opposite Andrew Garfield in the title role. She recently premiered her new movie “The Help,” an adaptation of Kathryn Stockett’s New York Times best-selling novel. The film received strong reviews including her performance in the movie. Does this mean she’s gonna earn her very first Oscar nomination come 2012? 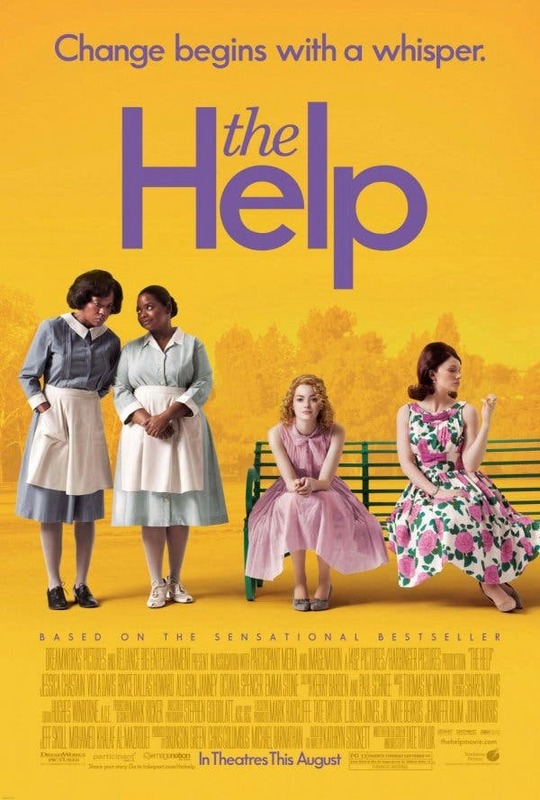 “The Help” also stars Viola Davis, Sissy Spacek, Allison Janney, Octavia Spencer, and Bryce Dallas Howard. It’s directed by Tate Taylor and has opened in theaters last Thursday. Set in Mississippi during the 1960s, “The Help” stars Emma Stone (star of the breakout hit, “Zombieland”) as Skeeter, a southern society girl who returns from college determined to become a writer, but turns her friends’ lives—and a small Mississippi town—upside down when she decides to interview the black women who have spent their lives taking care of prominent southern families. Academy Award® nominee Viola Davis (“Eat Pray Love”) stars as Aibileen, Skeeter’s best friend’s housekeeper, who is the first to open up—to the dismay of her friends in the tight-knit black community. Despite Skeeter’s life-long friendships hanging in the balance, she and Aibileen continue their collaboration and soon more women come forward to tell their stories—and as it turns out, they have a lot to say. Along the way, unlikely friendships are forged and a new sisterhood emerges, but not before everyone in town has a thing or two to say themselves when they become unwittingly—and unwillingly—caught up in the changing times. Based on the book of the same name by Kathryn Stocket.